• Stick with the same blend all year round; simply wash off at different times to customise your shade to the time of year. Avoid switching to a new and untried blend. • Going to an event that same evening? No problem. This spray tan solution can be washed off in 2 hours for a very light glow, 4 hours for a medium tan, and 6 hours for a dark tan, meaning you can dress your best without worrying that your clothes will be stained. What's more, your colour will continue to intensify throughout the evening, which will have you brimming with confidence every time you glance in the mirror. • Fed up of brown bed sheets? 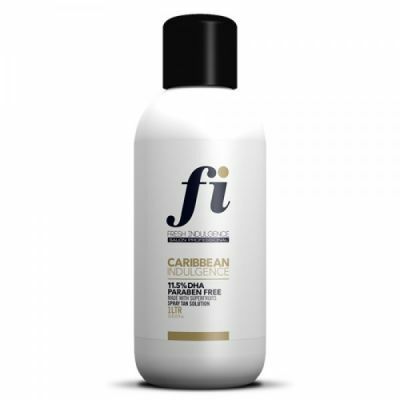 The faster wash off means you no longer need to sleep in your fake tan. Electric Tan is made using a hot blend method, meaning that the spray tan solution feels thicker and more luxurious. It also applies warmer to the skin. 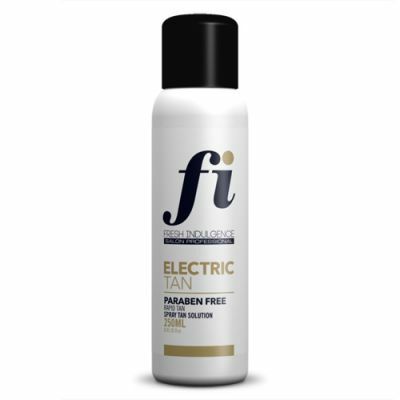 Electric Tan is blended using an advanced "hot blend" process, One DHA level fits all! Wash it off after 2, 4 or 6 hours for light, medium or dark! Electric Tan is blended using an advanced "hot blend" process. Made with superfruits including Açai Berry, Goji Berry, Grapefruit & Banana extract, blended with organic Aloe Vera juice and Ginger Root. 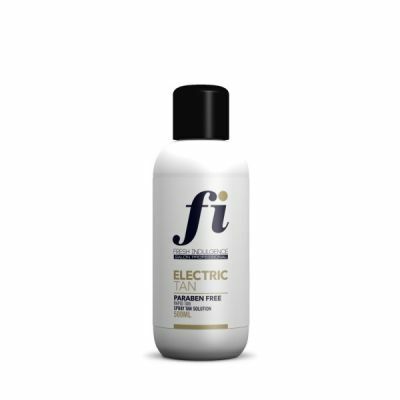 Spray Tan Solution Electric Tan 250 mL, Bronze tinted for easy application. 2-3 hours for a light tan, 3-4 hours for a medium tan, and 5-6 for a dark tan. Save £30 when you buy a full trade size of one US gallon (3.7 litres). Will provide approximately 68 tans.